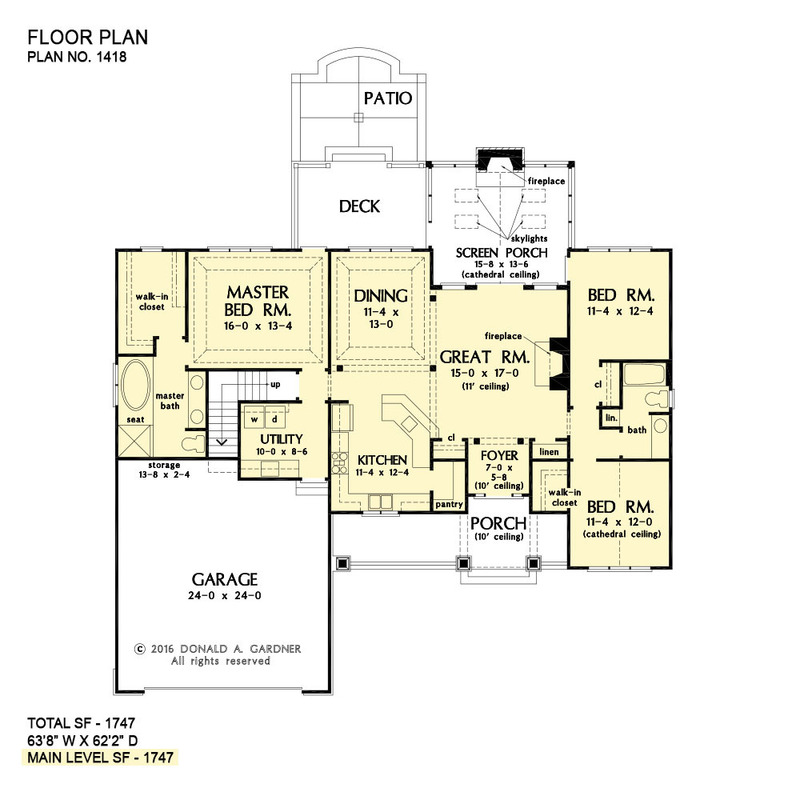 This Country home works well for narrower lots, with its front-entry garage. 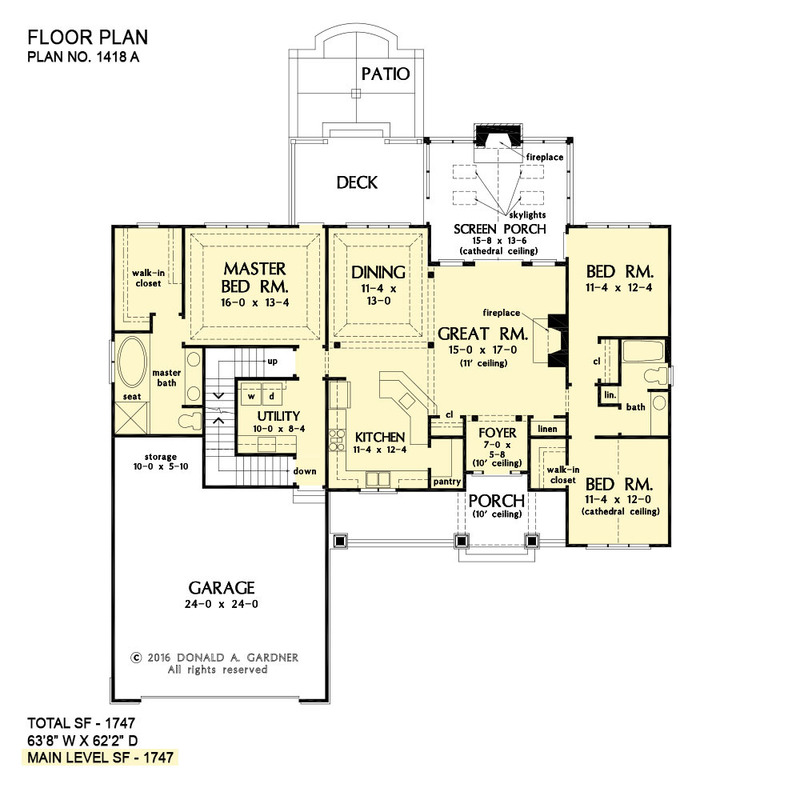 The efficient floor plan features open living spaces, creating an easy flow from room to room. Storage is thoughtfully placed throughout the home, including a kitchen pantry, to keep everything organized. The large screened porch is a relaxing outdoor retreat with a fireplace, skylights, and a stunning cathedral ceiling. 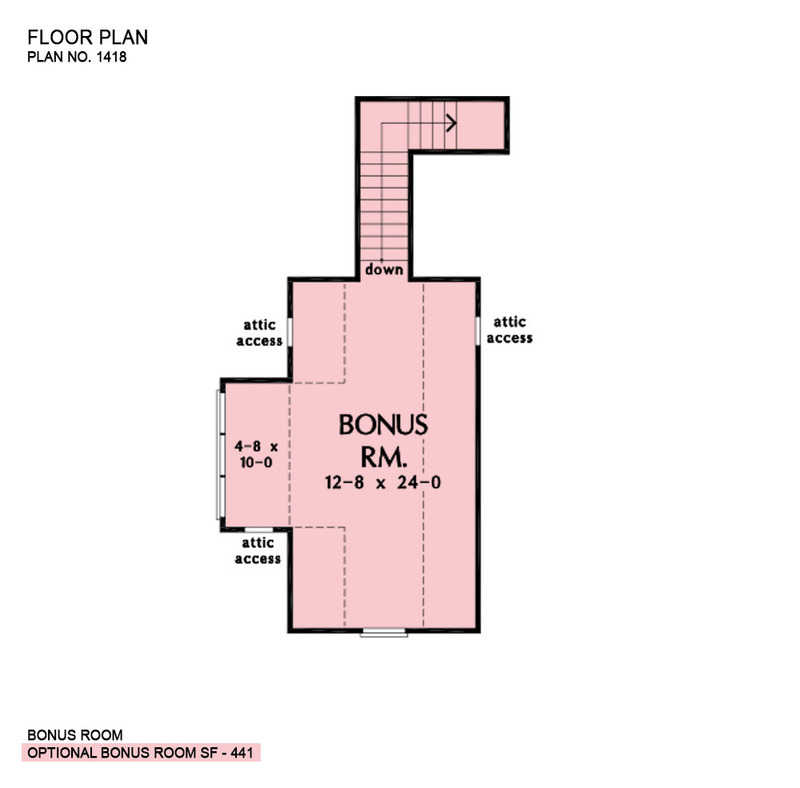 1st Floor: 1747 Sq. Ft.
Porch - Front: 185 Sq. Ft.
House Dimensions: 63' 8" x 62' 2"
Deck / Patio #2 (None): 15' 4" x 10' 0" x 0' 0"
Foyer (Flat): 7' 0" x 5' 8" x 10' 0"
Great Room (Flat): 15' 0" x 17' 0" x 11' 0"
Kitchen (Flat): 11' 4" x 12' 4" x 9' 0"
Utility Room (Flat): 10' 0" x 8' 6" x 9' 0"
Bonus Room (Clipped): 12' 8" x 24' 0" x 8' 0"
Garage Storage (Clipped): 13' 8" x 2' 4" x 0' 0"
Bedroom #2 (Cathedral): 11' 4" x 12' 0" x 12' 0"
Bedroom #3 (Flat): 11' 4" x 12' 4" x 9' 0"
Porch - Front (Flat): 27' 0" x 6' 4" x 9' 0"
Deck / Patio (None): 15' 4" x 10' 0" x 0' 0"
Porch - Screen (Cathedral): 15' 8" x 13' 6" x 14' 4"